Sydney Credit Union (SCU) is a provider of credit cards, home loans, car loans and personal loans, savings and transaction accounts, term deposits, life insurance, home insurance, car insurance, travel insurance, and business banking products. If you’re considering an SCU credit card, then have a quick look at what’s available below, based on a monthly spend of $2,000. SCU has one credit card at the time of writing: the SCU Low Rate Visa credit card. 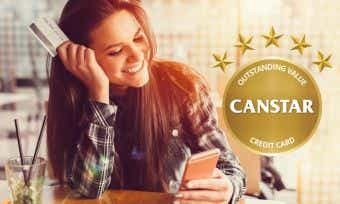 This credit card was awarded a 5-star rating for outstanding value in Canstar’s 2017 Credit Card research. Applying online with SCU takes about 10-15 minutes if you have all of this information on hand, according to SCU. Read our checklist on applying for a credit card for a more detailed explanation of how the process works. How do I activate my SCU credit card? You will have to activate your SCU card when it arrives before you are able to use it. You can activate your credit card using online banking or by calling SCU on 13 61 91. 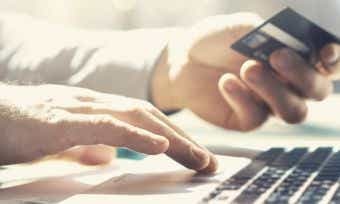 Can I manage my SCU credit card online? SCU has both a mobile banking app, called SCU Pocket Banking, and an internet banking portal for desktop. Online banking with SCU gives you real time access to your accounts, and it lets you do things like activate your card, view your recent transaction history, view your balance, and more. How is interest calculated on my SCU credit card? Interest is charged when you carry a balance on your SCU credit card. Interest is charged on cash advances from the date of withdrawal and on balance transfers from the date of transfer (fees and charges apply). Up to 55 interest-free days apply to SCU’s Low Rate credit card. Interest-free days only apply if you have paid the balance in full for the previous month’s statement and for the current month’s statement. For more information about interest-free days, check out our article on how they work. 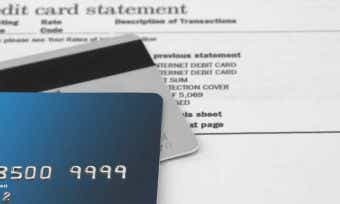 What will my credit limit be on my SCU credit card? Your credit limit for an SCU credit card will be determined based on the information you provide in your application, bearing in mind the minimum and maximum credit limit available (see above). You can ask SCU to increase your limit at any time, and SCU may approve or reject a request at their discretion based on their lending criteria. Find out more about how credit limits are determined here. How do I close my SCU credit card account? You may close the account at any time by making a written request to SCU. IF your account is closed, all cards on the account must be cut in half and returned to them. Your card balance will still need to be repaid in full even after the card is closed, and you will continue to receive monthly statements until your card balance is fully repaid. If your reason for cancelling is that you’re experiencing financial hardship, contact SCU’s financial hardship team on 13 61 91 to find potential solutions. SCU is short for Sydney Credit Union (not to be confused with Southern Cross University). SCU has more than 50 years of banking experience, having been founded in 1963. It was initially built to serve as an alternative bank to employees of the Sydney City Council and has since grown to service the entire Sydney metropolitan area. SCU is highly involved in its local communities, providing school scholarships to JJ Cahill Memorial High and Patrician Brothers. It partners with organisations such as the Coogee Surf Life Saving Club, and Australia’s oldest rugby league club, the Newtown Jets. SCU is also proud to support Australia’s Biggest Morning Tea, an initiative by the Cancer Council to help raise vital funds for cancer research in Australia.